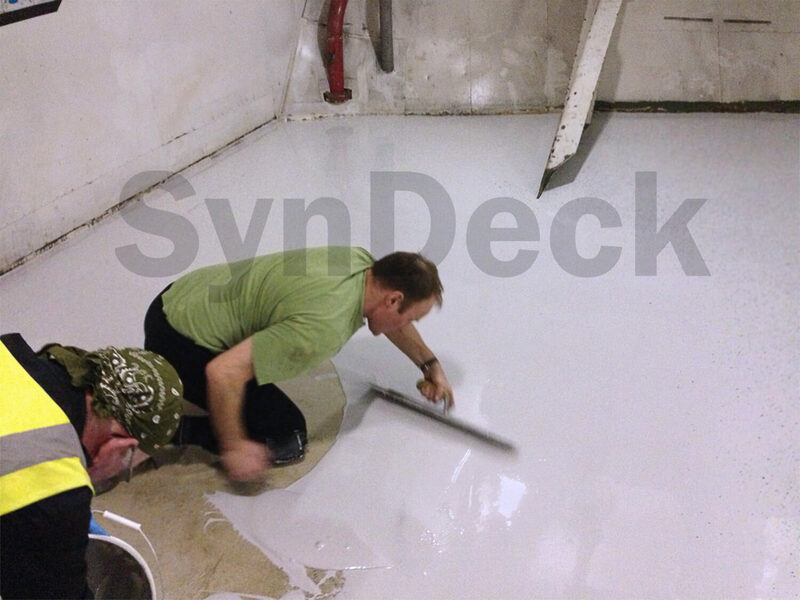 SynDeck® 1.5 IMO Underlayment SS1295 is a very lightweight IMO marine epoxy underlayment. This three component, 100% solids, zero VOC product is very low odor. Plus, it trowel-applies for proper sloping to drains and scuppers. This is also a suitable underlayment for use below tiles, vinyl and carpets. 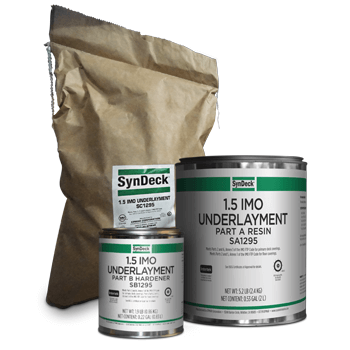 SynDeck 1.5 IMO Underlayment is always used in conjunction with our SynDeck Bond Coat and SynDeck Grout Sealers. 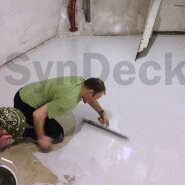 It can also be used as a part of our full resin DECO Flake or Anti-Slip systems.